A career with Nannies on the Go can be a fun, exciting and rewarding opportunity for any childcare professional. With our high hiring standards, your title as a Nannies on the Go team member immediately earns you prestige in the childcare community – giving you access to caring parents and families all over the DFW metroplex. Nannies on the Go puts the spotlight on you. We showcase your talents and skills to our clients all over Dallas and Fort Worth – clients looking for experienced and qualified childcare professionals just like YOU! The best part of joining the Nannies on the Go family? It’s completely free! 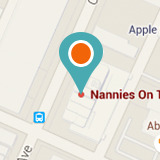 We don’t request any money from our nannies. We find the talented and qualified nannies and create a portfolio for you so you are more than just a name! Ready to take your childcare career to the next level? Join Nannies on the Go today!